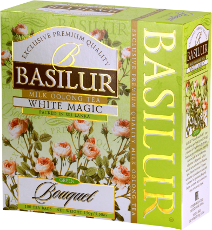 Basilur Tea - Milk Oolong Green Tea String & Tag Teabags - 100 bags - Spcial Offer!! 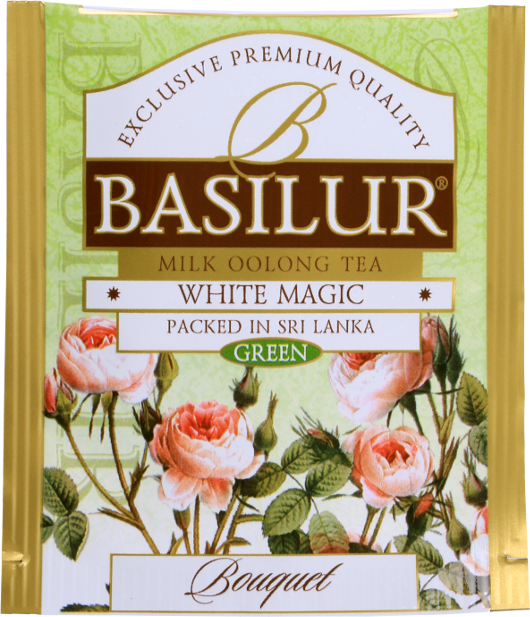 An exotic blend of milky Oolong green tea, fragranced in the traditional age old method adding to an enchanting and delightful scent and flavour. Offered in double chamber tea bags in very special ‘staple-free’ string & tag teabags. 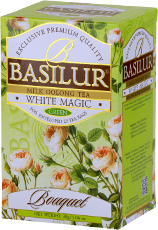 Tea cup colour is yellowish green with a hint of milk flavour. 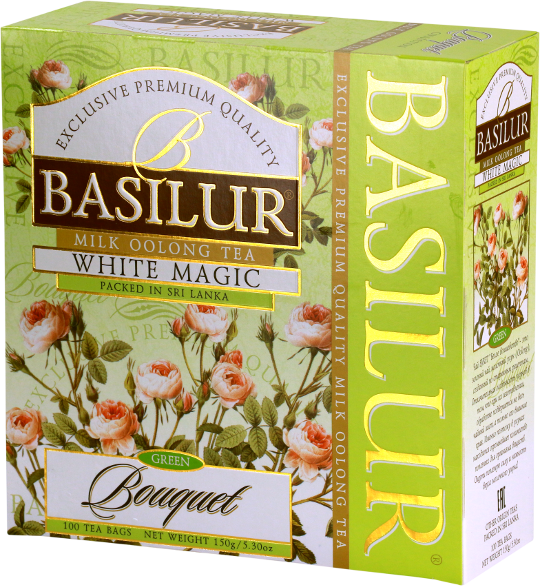 Ingredients: Chinese Milk Oolong green loose leaf tea.